Animal Circus by Hubbell Reed McBride was painted about 1940, oil on canvas adhered to a wall (marouflage). It is super cute in all its details, even when looking at it up close. Do a Google search for “Animal Circus Murals” and look at “images.” You won’t find anything that comes close in quality or being so cute (for kids of course!). Our art conservation lab’s reputation for working on large paintings preceded the arrival of this mural to us. In fact, at the time we were just finishing up on the lining (backing) and conservation of three 30 ft paintings for the State of Texas. 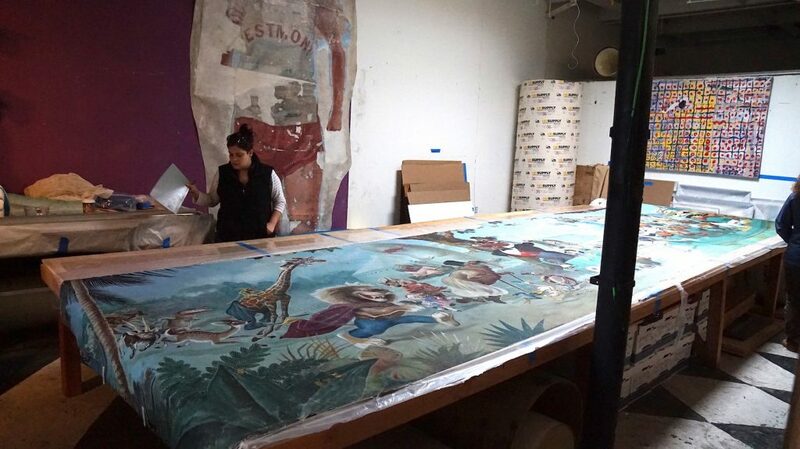 Animal Circus Mural Restoration, Lining a 27 ft painting. from Scott M. Haskins on Vimeo. We preserving the condition and prepared it for reinstallation it will be stable for future generations to come. Stabilizing the cracking, flaking and giving the mural support so it won’t distort will insure its long life. Animal Circus in the art conservation lab. Over the decades, Fine Art Conservation Laboratories has collaborated with professional conservators all over the US, in Italy, England and Spain. We were pleased to collaboration and consult with Steven Prins, a veteran painting conservator of Santa Fe, New Mexico on this project. As a boy Hubbell grew up in Mansfield, Ohio and developed a talent for drawing animals that made people smile. He took that art and touched the lives of millions of people. 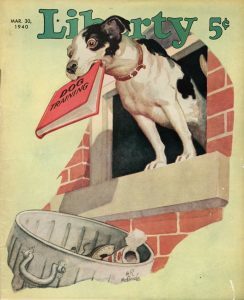 His whimsical paintings consistently made the cover of several best-selling national magazines, which took his career to New York. But, it seems, he walked away from his successful illustrator’s career to spend his life in rural America to the delight of everyone in that part of the country. Cartoon farm animals were undoubtedly a favorite even from his very earliest works. Drawings captured funny faces of the animals he knew with characteristic whimsical personalities. After high school, he found a job in Cleveland making illustrations for a newspaper syndicate, but when they let him go after a year he had gained enough confidence to try the big market in New York. Becoming friends the founder of Editor and Publisher magazine, he was connected through the industry and for the next 25 years he distinguished himself as cover artist and illustrator for several top Hearst publications like Cosmopolitan and Good Housekeeping, as well as the Saturday Evening Post and Liberty & Collier’s Weekly Magazine. The Animal Circus mural in this article was commissioned for a children’s mural in a home on Park Avenue West in the 1940s. Fortunately he painted it on canvas that was ripped off the wall when the building was demolished. Though badly damaged with the inept removal technique, it survived till it could get professional mural conservation treatments. 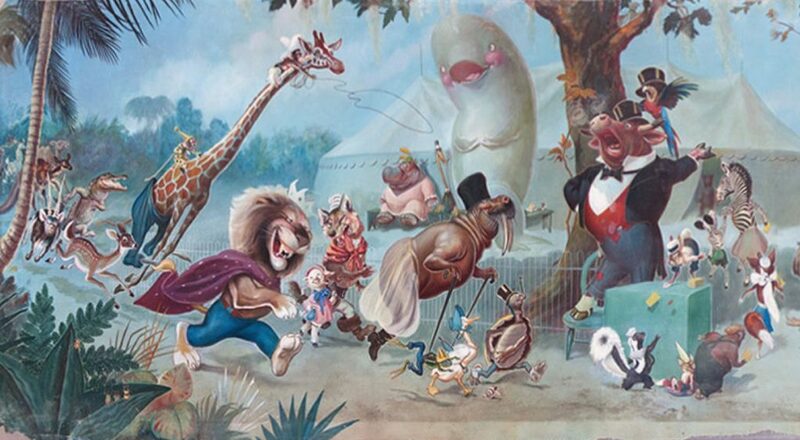 His work is easily recognizable for its warm humor, and for animals with memorable personality. With a wealth of experience in graphic arts, Reed was a gift to the community in the 40s and 50s, painting a wide canvas of all sorts: from sacred scenes in the First Congregational Church in Lexington, to background drops for the Mansfield Players and Children’s Theater. In the 1940s Reed McBride painted several murals in Richland County that became well-known landmarks in stores, churches and the Municipal Building. This is the one he created for the Ven-Mar market on Marion Avenue. This entry was posted in Travel and tagged mural restoration. Bookmark the permalink. 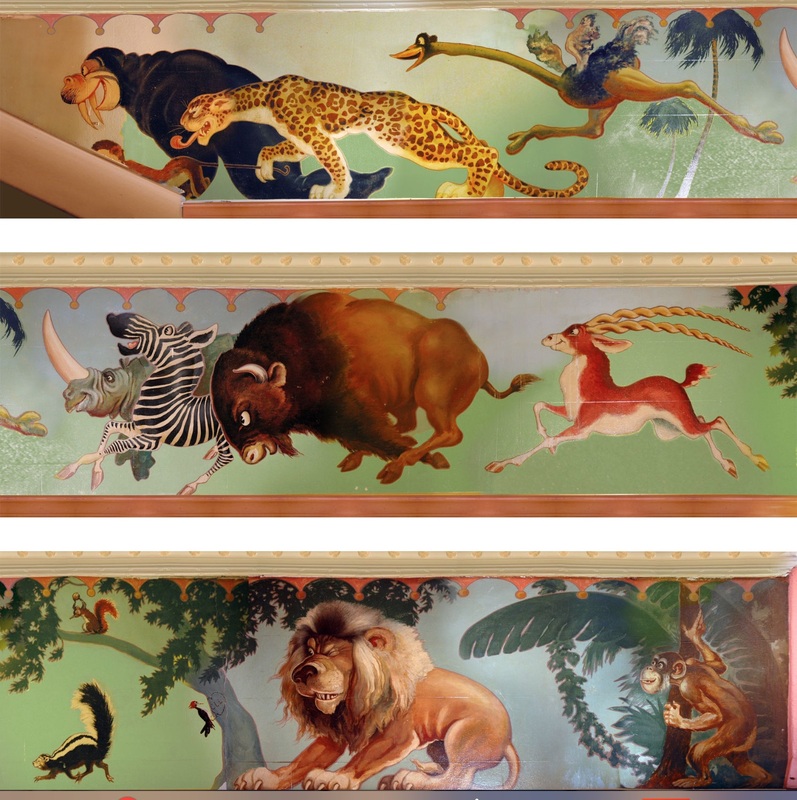 4 Responses to Preservation and Restoration of a very cute 27 ft. mural, Animal Circus by Hubbel Reed McBride c.1940. Its lining and stabilization. Hi Linda. Yes, we loved seeing it too.Thanks for your comment. I’ve love the art from the illustrators of this time period. But this is like the cutest! 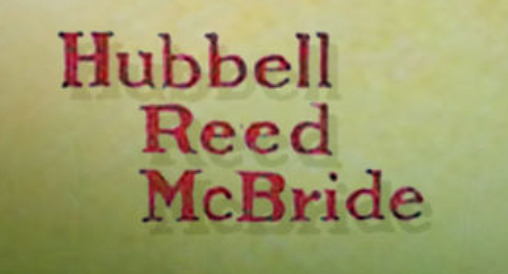 I’m surprised that I’ve never seen it before because I’ve heard of McBride. It’s amazing and has a warm humor just like his other works of art. Thanks Alfie for leaving your nice comment. OMG. This is an amazingly cute circus art. It’s so lovely and I don’t think I’ve seen much kid-friendly high quality works like this. It’s great to know that it was saved from destruction. Good job FACL, your lab is really doing a great work. I love reading and seeing the videos on what you guys do.